This week in the water cooler: we sing the praises of stained glass, wax lyrical about goats and make delicious yet unpronounceable sauces. Brian Miller, Lifelogs Ltd, Dunedin. I’ve always had a soft spot for stained glass and a new book from Brian Miller highlights some of the best pieces of this craft in New Zealand. Capturing Light highlights New Zealand history through the glasswork. Dunedin, for instance, owes its stained glass heritage to being wealthy at the right time and poor at the right time. For a few decades following the 1861 gold rush, Dunedin was the wealthiest city in New Zealand and stained glass windows became a feature of many large houses built around the city. In the second half of the 20th century, while the newly-prospering cities further north were modernising and tearing down their old buildings, Dunedin’s economy was slowing which meant most of Dunedin’s old Victorian buildings were kept intact, along with their stained glass windows. During the refrigerated meat boom of the 1890s there was a surge of church building and stained glass window imports and Dunedin seemed the natural home of stained glass craftsmen. 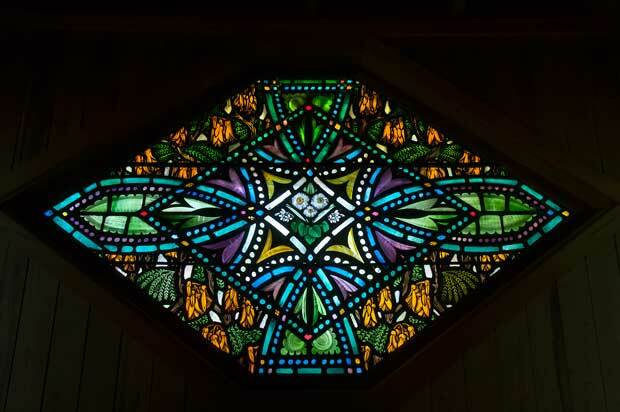 Roy Miller from Miller Studios was for 30 years, from the 1950s, the foremost stained glass artist in New Zealand. ‘Kowhai and other flowers’, designed by Ken Bunton, executed by Roy Miller, 1968. St David’s Anglican Church, Raincliff, South Canterbury. This is a beautiful book with magnificent photographs, a wonderful record of the some of our most significant stained glass works. There’s not much dignity in the judging arena, especially if you’re a milking goat. It involves hands tweaking your udder, measuring your ribs and commenting (sometimes harshly) on your looks. 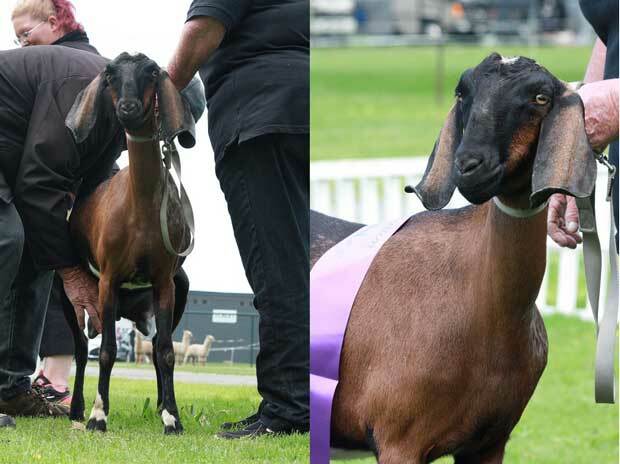 This is one of the gorgeous Anglo-Nubian goats at the Waikato A&P Show where I was a steward, assisting expert goat judge Ray Messervy (left). Ray had to get a good feel all over to get an idea of who is the champion. Note: a purple ribbon means she was the champion. The Anglo-Nubian is traditionally a dual-purpose goat, producing good quality milk – it has the highest fat and protein content of all dairy goat breeds, something cheesemakers love – and meat, if a good goat roast is your goal. Here in NZ, Anglo-Nubians are still a fairly rare breed compared to the white Saanan, the most common goat in NZ which number in their hundreds of thousands. They’re certainly the most colourful – all the other breeds have set colour patterns, Anglo-Nubians can be anything – but when Ray is looking at a goat, he’s not judging her for prettiness. He wants to see a good udder, strong back legs and a solid rear end, all indicators of a goat that will have her kids easily and then create copious amounts of sweet milk with as little drama as possible. 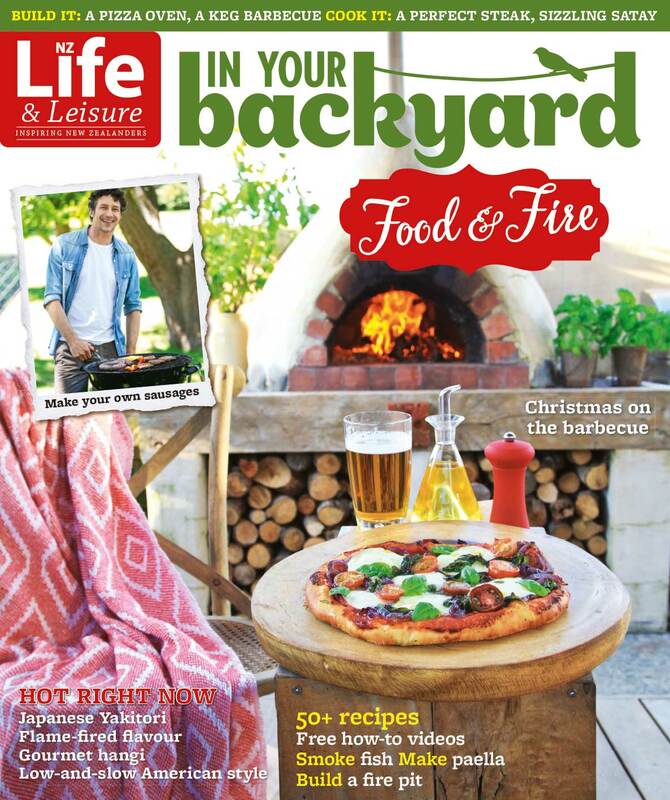 I was lucky enough to see an advance copy of the new In Your Backyard, Food & Fire this week. One of the recipes from Kristina Jensen sounded so good I made it that night and it was just as good as it sounded, better even if you consider how quick and easy it was to make. We have a glut of lemons, a happy problem, but as I grew up in the South Island it seems plain disgraceful not to use them all, so I’m quick to try lemon heavy recipes. Only difficulty was pronouncing salmoriglio. ‘Sell MORE ree lee oh’, I believe is the correct way but I’m very happy to be corrected by any Italian speakers. 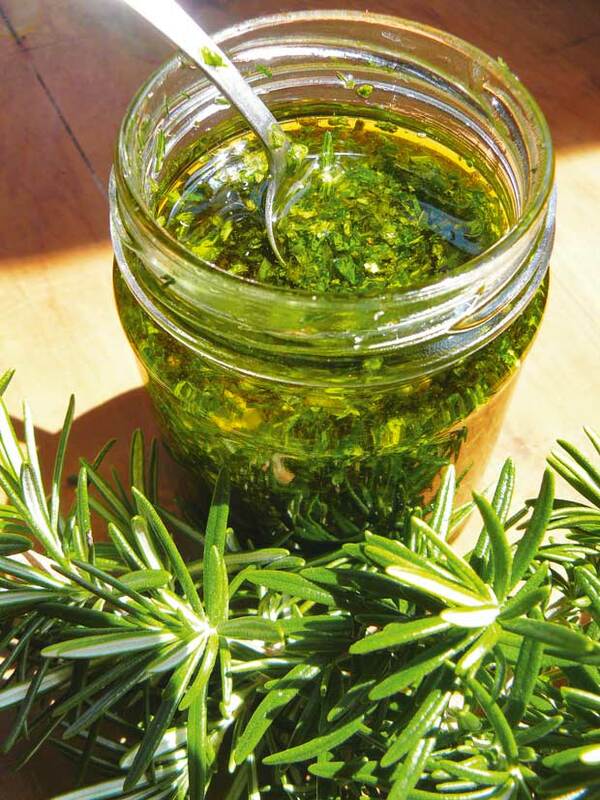 Although it may share similarities to pesto, salmoriglio contains much more oil and its magic is in its method. Fresh herbs are slowly ground with salt in a mortar and pestle, with the salt enticing the plants to give up their fragrant, flavoursome juices. We used it over new potatoes, pasta and on fish, coated vegetables in a few tablespoons before roasting (really good, particularly when you consider how much less oil you are using), on foccacia dough, and with steamed asparagus instead of butter. I believe salmoriglio will last quite a while in the fridge, but ours was all gone in three days. I’ll be making another batch this weekend, only twice as much. 1. Gather a handful of a single fresh pizza herb, such as oregano or thyme, or use a combination of several different kinds, including oregano, thyme, sage, rosemary, parsley or basil. 2. Remove leaves from stems and either grind in a mortar and pestle with 2 teaspoons of salt, or finely chop using a knife or a mezzaluna herb-chopping blade. 3. Place the crushed herbs in a glass jar and add the juice of 2 lemons or limes, ½ cup quality olive oil (preferably organic), freshly ground pepper to taste (and if you’ve used a knife to chop the herbs, add 2 teaspoons of salt here) and 2 cloves of garlic, crushed. 4. Stir everything together. You’ll see some separation over time, but a quick shake of the jar will mix everything ready for use. Salmoriglio will keep in the fridge for a week. 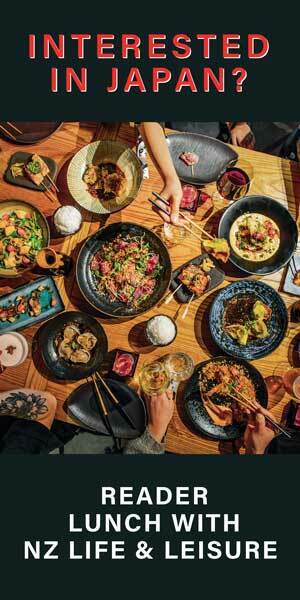 Order a copy of In Your Backyard: FOOD & FIRE here. While everyone is in spooky spirits thanks to Halloween, I thought it would be the perfect time to mention one of my favourite podcasts. It’s a twice-monthly series called Welcome to Night Vale, structured in the style of a community update for the small desert town of Night Vale. Each update features local weather (that, strangely enough, isn’t actually the weather), announcements from the Sheriff’s Secret Police, information about mysterious lights in the night sky, dark hooded figures with unknown powers, and a faceless old woman. If you’re thinking that it sounds quite terrifying and is probably not the best thing to listen to before bed, you’d be right, but I recommend you to defy common sense and listen to it anyway. The style of the podcast is like an audiobook and the descriptive language really draws the listener in to create some seriously creepy imagery. The creators also released a book with the same name last year, and have interwoven the characters and storylines from the podcast. Welcome to Night Vale quickly became a global success, and live stage shows launched after the podcast have sold out all over the world (including one in Auckland earlier this year). It is unique and imaginative, and just plain weird. It makes you feel happy, anxious, confused, and intrigued all at the same time, but that’s the magic of it. 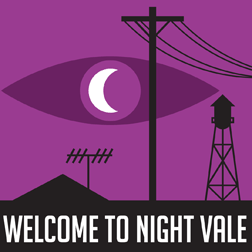 Before you go to bed tonight, instead of scrolling on Facebook, give Welcome to Night Vale a listen…if you dare. Michael Fassbender stars as Tom Sherbourne and Alicia Vikander as his wife Isabel in DreamWorks Pictures poignant drama THE LIGHT BETWEEN OCEANS, written and directed by Derek Cianfrance based on the acclaimed novel by M.L. Stedman. The Light Between Oceans hits cinemas this week. Those who listened to the Off-Topic Book Club podcast about the novel by M L Stedman will know the NZ Life & Leisure team raved about this period drama set in the years following the Great War, and we were excited to see the film adaptation. It’s an intriguing story about a couple living on a lighthouse who find a baby washed up in a boat on their island. 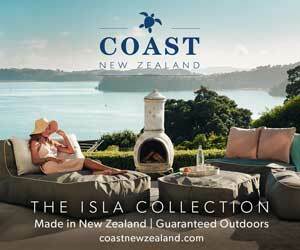 In the film version, Michael Fassbender and Alicia Vikander play the two lead characters, and their on-screen chemistry is undeniable (in real life the actors fell in love while filming scenes in New Zealand). While Fassbender gives a strong performance as Tom, a man tortured by survivor’s guilt, this film is edited with a heavy hand, with the melodrama dialed up to 11. I found the novel well-constructed and full of beautiful nuances which sent my moral compass spinning, but subtle plot changes in the film make the the thematic climax a very black and white affair.